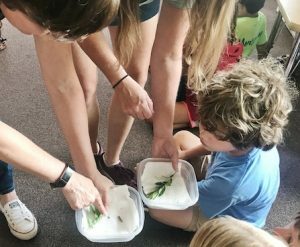 TNSM mom, Carrie Driehaus, brought monarch butterflies into each of TNSM’s classrooms. 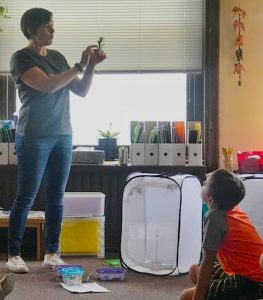 The students listened intently as Carrie shared all she has learned about the plight of monarch butterflies. Carrie first took an interest in insects when she focused her camera lens on studying flowers. 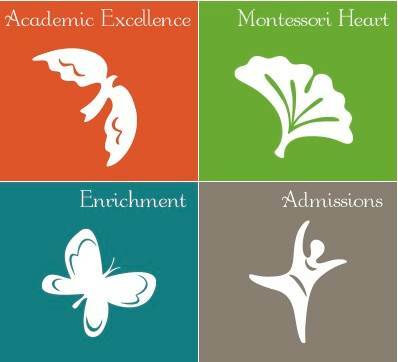 The bees, butterflies and ants were ever-present in her work which sent her into research mode to learn more about these creatures. 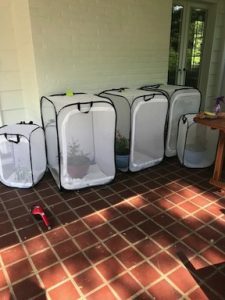 Since May, Carrie has turned her Clifton garden into a home for bees and monarch butterflies (with a backyard beehive housing 30,000 bees). 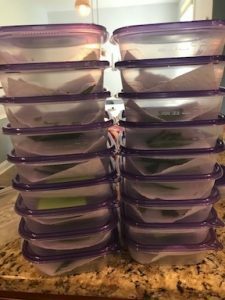 Carrie has also planted milkweed (purchased from her local nursery) and has subsequently provided a safe place for 170 monarch eggs to mature through their life-cycle. Carrie’s monarch eggs were taken from deposits that migrating wild monarchs left on the surface of her backyard milkweed leaves. 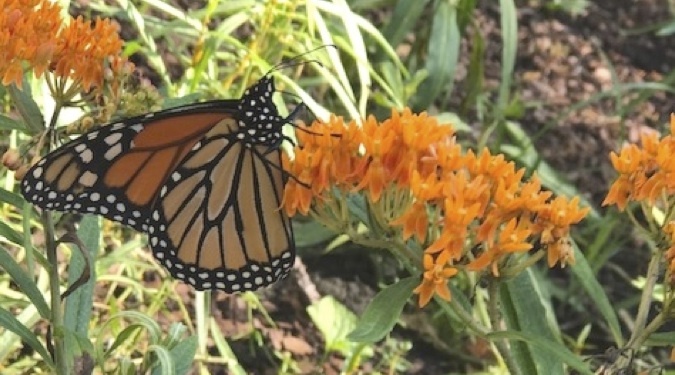 When unprotected in nature, a monarch egg has a 1% chance of becoming a butterfly. In a home, the survival rate rises markedly to 90% survival. 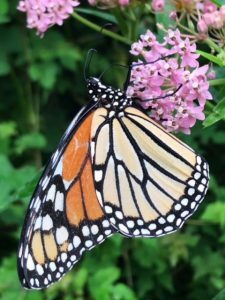 Over the last 20 years, monarch populations have been in steep decline due to pesticide use, loss of roosting habitat and diminished access to a ready food supply of milkweed. Carrie emphasized that monarch butterflies already have an uphill battle with their inborn migration patterns taking them farther than any other animal on the planet (2,000 – 3,000 miles). 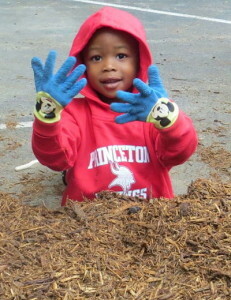 Carrie encouraged us to give the monarch butterfly population a boost by doing what we can to help them thrive and to plant milkweed as part of our landscaping. 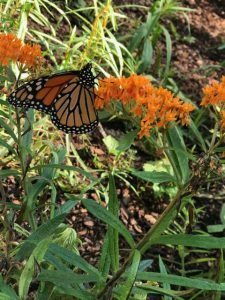 The honeybee and the monarch butterfly have moved Carrie’s focus from flowers to insects – and we are learning right along with her as Carrie follows her passions. The 2 varieties of milkweed in Carrie’s garden are quite beautiful with orange and pink blossoms. 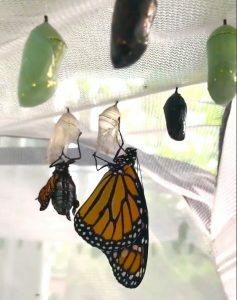 You can also see the trays and mesh containers to house the monarchs in their various stages of life.